The Storm began to unfold with an unexpected heavy snow storm on the morning of New Years Day, which was Thursday, January 1st. This snowstorm, however, was spotty, and mostly affected outlying areas to the south of Portland city center, such as Canby and Aurora. In places like Canby, it began to snow around daybreak, and soon 4-6 inches piled up. It was the drier, lighter snow that is so enjoyable, and so unusual in the damp martime climate of the Portland area. The picture on the left was recently published in the March/April 2005 national magazine named "Weatherwise," page 32. This glossy magazine is an excellent resource for those with a serious weather interest, but in most areas you won't find it on news stands, and you will need to get it by subscription. Click here to find out more about this truly excellent magazine. Temperatures stayed a bit subnormal for the next 3-4 days, and then temperatures dived. On both the 5th and 6th highs in Portland at PDX reached only 24 degrees, and with brutal east winds screaming out of the Columbia Gorge...Both of these days broke the old records for "low maximum temperature" for the date by 4 to 5 degrees. 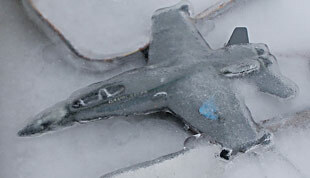 On the 6th, all the intoxicating snow fun ended when warm air aloft began to override the cold arctic air.. Then a major FREEZING RAIN event turned the fun into danger that lasted for 3 to 4 long, long days and nights. Both major freeways into and out of the Portland area were periodically CLOSED, as was MAX, Portland's famous light rail system. Even PDX (Portland International Airport) was CLOSED, the airport setting an unenviable record for itself with some 2 1/2 days of no service, with thousands of stranded passengers and dozens of severely iced-up jet planes! Area Schools were closed for 3-5 days, as parents and children struggled to even walk on the skating-rink-like surfaces hemming them in on every side. Power outages seemed to go on endlessly, affecting people all the way down the Willamette Valley into Corvallis and Salem. Even after temperatures recovered to above freezing, some customers, especially some in rural outlying areas, still were without power for 2-4 days. With the thaw, other bad things happened, for instance, when the roof on a major department store caved in on Friday in NE Portland! The End: On Friday the 9th, even the eastern areas of Portland near Troutdale and the mouth of the Columbia River Gorge were finally above freezing and the huge accumulations of ice were beginning to slowly dissolve into a big mess. Portland's bout of ice and snow had lasted nine long days. 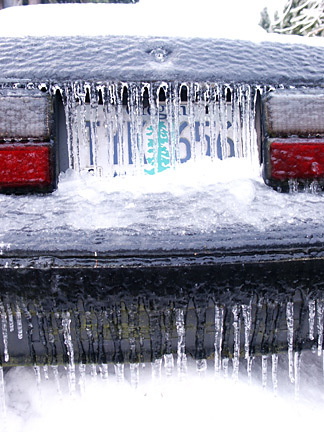 Weather events such as the 2004 ice storm can be devastating for people and businesses. Forecasting these events has become an important job of meteorologists today. Modern computer programs and CMMS Software are important in keeping track of storms. Predicting the progress of potentially hazardous storms has kept computer programmers busy. With the history of computer technology changing daily, keeping pace with these changes can be difficult. Hopefully, weather forecasters will help in predicting and alerting us about future storms, so that we will be better prepared.